How premium does this thing get? Sony makes dependable handsets, but it’s been a long time since it’s made a phone that’s not in some way hampered or behind the curve technologically. 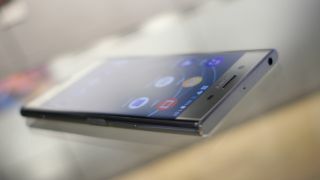 Usually it’s the screen that lags behind, with most of its flagships packing just 1080p displays when rivals have moved to QHD, but now, with the Sony Xperia XZ Premium, the company has leapfrogged its competitors and delivered a 4K display. Combined with all-round top tier specs this makes for a truly cutting-edge handset, and one which on first impressions seems less gimmicky than Sony’s last stab at 4K on the Xperia Z5 Premium. But is this ‘premium’ take on the XZ enough to justify the name – and the price tag – or is the standard Sony Xperia XZ, which is a flagship phone too, and still pretty recent, the better option? To help you decide for yourself we’ve put the two head to head, across all the categories that matter. The standard Sony Xperia XZ might not have premium in its name, but it does have a premium price, coming in at $699.99/£549 (around AU$939) – though some retailers now sell it at around a $100/£100 discount. The Sony Xperia XZ Premium meanwhile is sure to be even more expensive, as you’d expect. Exact pricing hasn’t been confirmed yet, but don’t be surprised if it’s at least an extra £100/$100/AU$150. The Sony Xperia XZ Premium is one shiny phone, with a mirrored finish that’s sure to satisfy the vainer among you – though one that’s also prone to pick up more fingerprints than a forensic scientist. While less shiny, the standard Sony Xperia XZ is almost as fond of picking up fingerprints, and it’s got a similarly premium design, but with a metal back, rather than the mirrored glass of the Xperia XZ Premium. In fact, the overall look of the two phones is very similar. They both have large bezels above and below the display, they both have a fingerprint scanner on the side, and they both have a slim profile, of 8.1mm for the Xperia XZ and 7.9mm for the Xperia XZ Premium. Really, the XZ Premium can be seen as just a slightly more polished version of the XZ – at least when it comes to looks – and both phones have one very important feature: water and dust resistance. This is surely the single biggest difference between the Sony Xperia XZ and the Sony Xperia XZ Premium, as while the standard Xperia XZ has a 5.2-inch 1080 x 1920 display, the Sony Xperia XZ Premium has a 5.5-inch 4K screen – a resolution which is almost unheard of on a smartphone. So it’s not just bigger, but also far, far sharper. It can also show off HDR content, and our early impressions of the screen are positive, with the display (at least in the demo we saw) showing off strong colors and clarity, though resolution aside the Xperia XZ has a quality screen too and can pump out a lot of brightness. This could be the weak link in the Sony Xperia XZ Premium, as the phone has a 3,230mAh juice pack, which is pretty small given the size and resolution of its screen. It’s bigger than the Xperia XZ’s at 2,900mAh, but then that phone has a smaller, lower resolution screen, and still requires nightly charges. So it remains to be seen which will win out here, but the Xperia XZ Premium has one thing that will likely work in its favor – the brand-new Snapdragon 835 chipset, which is more power efficient than the older Snapdragon 820 at the heart of the Xperia XZ. Both handsets also support fast charging, and use Qnovo adaptive charging, which helps increase the overall lifetime of the battery by monitoring it and constantly adjusting the charging current. Sony has made some significant changes to the camera on the Xperia XZ Premium, starting with the megapixel count, which it’s dropped to 19MP from 23MP on the standard XZ. That’s probably a good thing, because the Xperia XZ’s megapixel count feels like overkill, and while you can take great snaps on it, rival handsets like the Samsung Galaxy S7 and iPhone 7 with far lower megapixel cameras have it beat. Sony’s also made changes and improvements to other aspects of the camera for the XZ Premium, including the Motion Eye sensor, which is designed to capture images before you even press the shutter button, so you never miss a shot. It works fairly well on both phones, but is five times faster at processing images on the XZ Premium. The Sony Xperia XZ Premium also has a brilliant slow motion camera, which can capture footage at 960 frames per second. Around the front there’s less difference, with both phones sporting a 13MP selfie snapper. The Sony Xperia XZ Premium is an improvement over the Xperia XZ in almost all the ways that matter, on paper, at least. The big selling point is the 5.5-inch 4K HDR screen. Currently, content that can fully take advantage of this is limited, but it’s growing all the time, and this is a huge jump from the 1080p display of the Sony Xperia XZ, as well as being bigger. The camera on the Xperia XZ also sounds more promising, and at the very least it will be a lot of fun for fans of slow-mo. There’s also more power here and a bigger (though not massive) battery. Differences in the design are less striking, but there’s a sense that the XZ Premium has been further refined, and it’s certainly a good-looking phone. Of course, that all comes at a cost, and the Sony Xperia XZ is still an accomplished, fairly recent flagship, so you’ll have to think about whether these differences really matter to you, or whether you’d rather save a chunk of cash and opt for the standard model.